The Queen received the brooch in October 2013 -- our friend Patricia Treble of Maclean's reports that she "actually gasped when she saw the gift" -- and has quickly made it a part of her regular brooch rotation. She wore it for the first time in public in Norfolk in February 2014. And in a move that seems to cement the importance of the brooch, it was also worn at Royal Ascot in 2014. 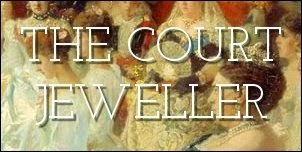 The piece coordinates really well with the Queen's wardrobe -- excellent planning on the part of the jeweler -- so I imagine we'll see this continue to be a regularly-worn piece for years to come.